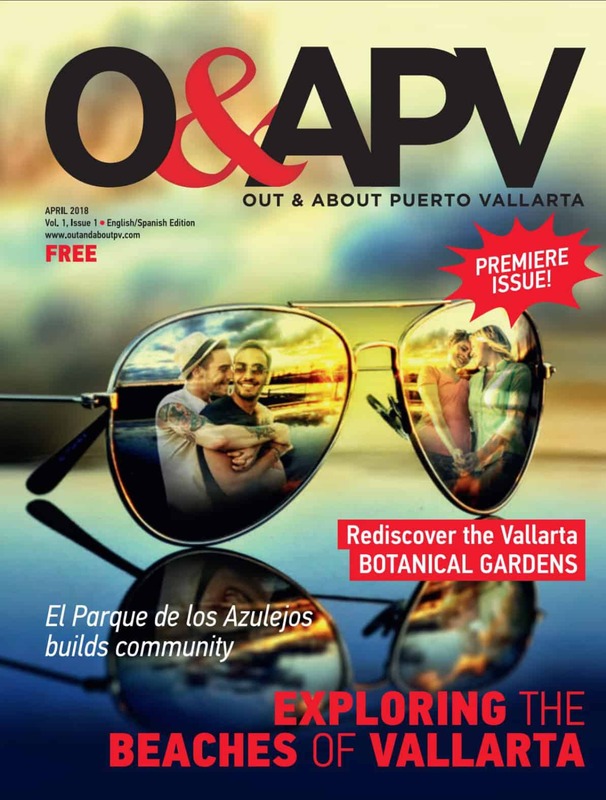 Out & About Puerto Vallarta is celebrating one year of publishing, launching its first issue in April 2018, celebrating the beaches of Puerto Vallarta. A launch party was held in March 2018 at Hotel Mercurio (view those photos here), and watch an interview with Hotel Mercurio Owner Paul Crist here. 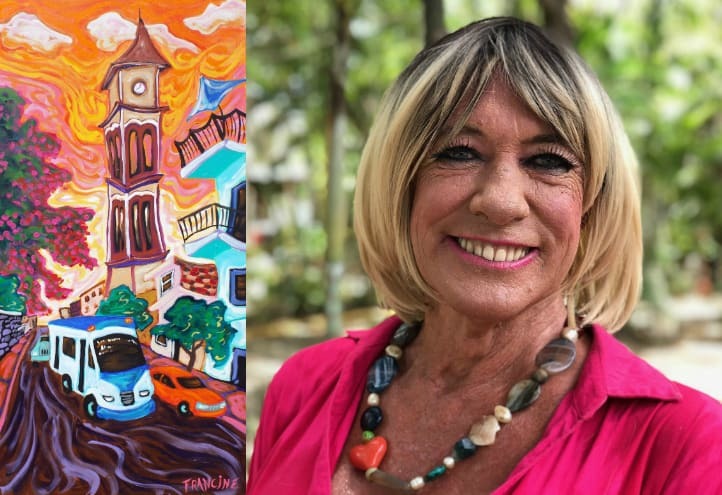 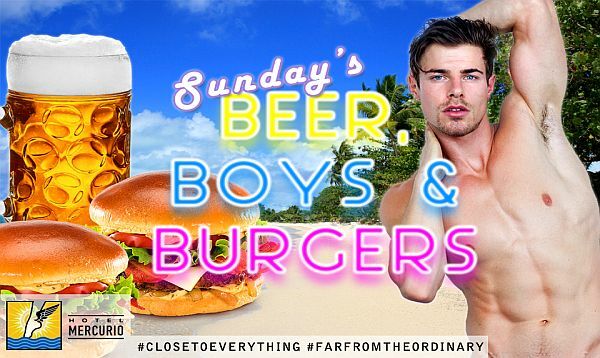 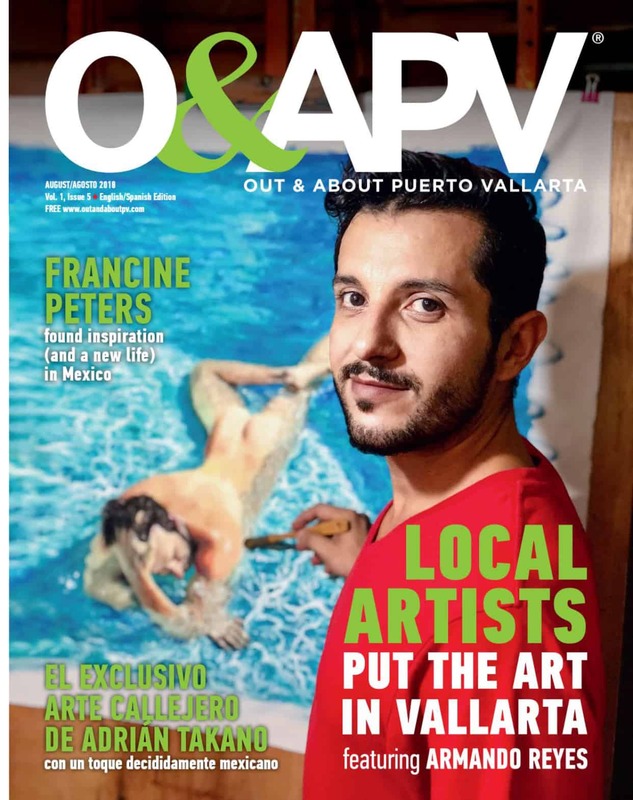 At the event, there were drinks, canapes, and music by The Red Suitcases as we unveiled Puerto Vallarta’s newest print and web publication for the LGBT community and all of our friends. 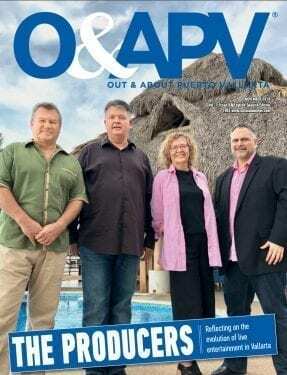 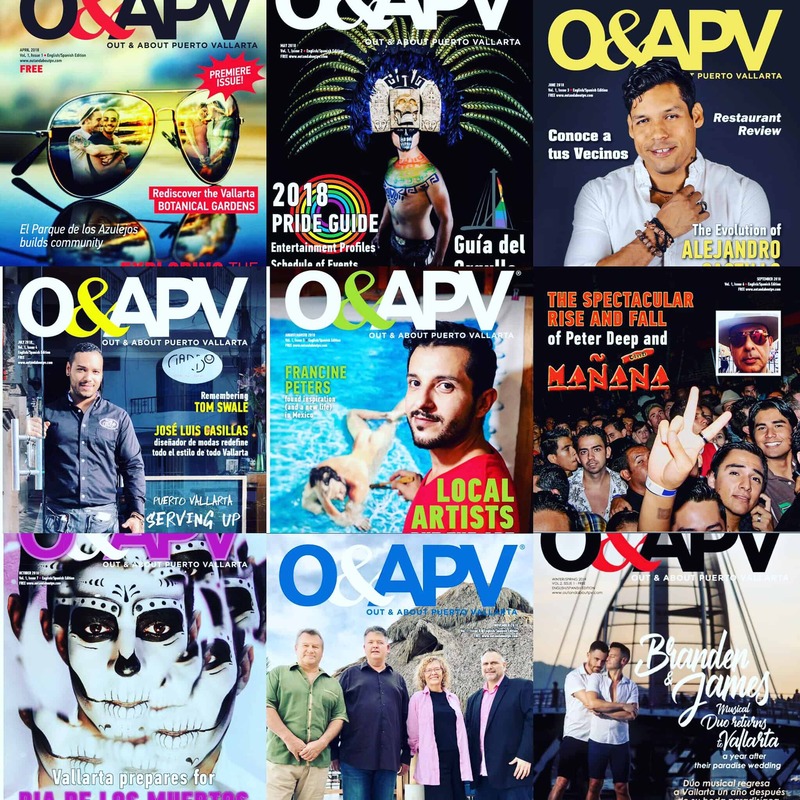 O&APV started as a monthly magazine in 2018, but moved to a quarterly publication in 2019, and boosted its online presence. 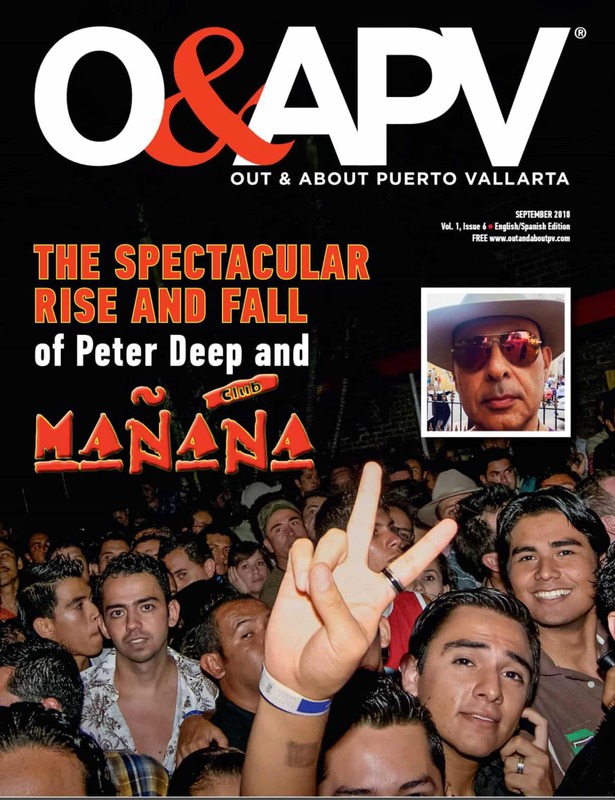 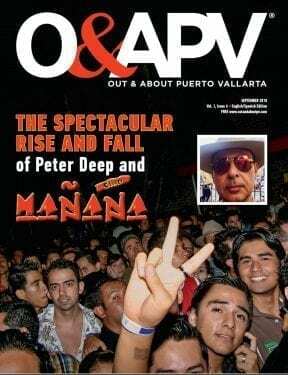 O&APV is a bilingual (English and Spanish) glossy magazine distributed at hotels, restaurants, bars and other locations throughout Puerto Vallarta, including La Zona Romantica. 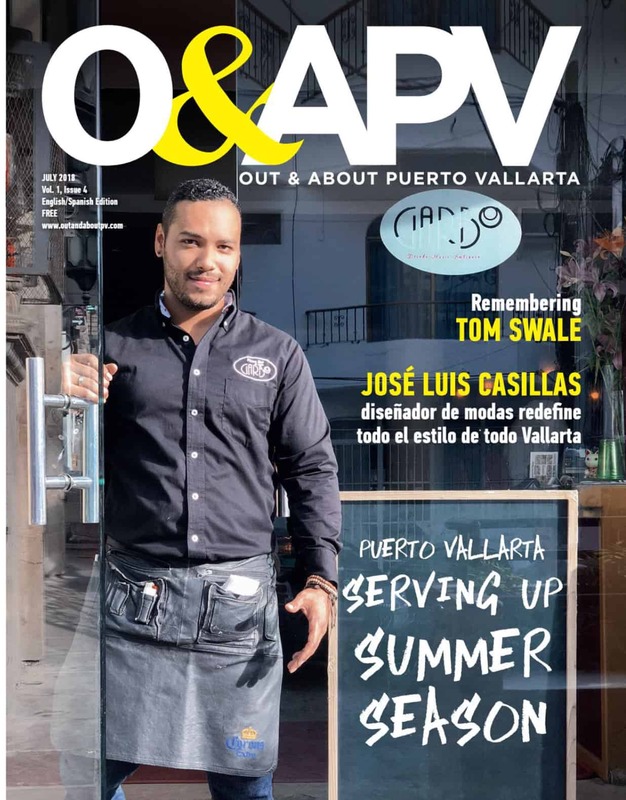 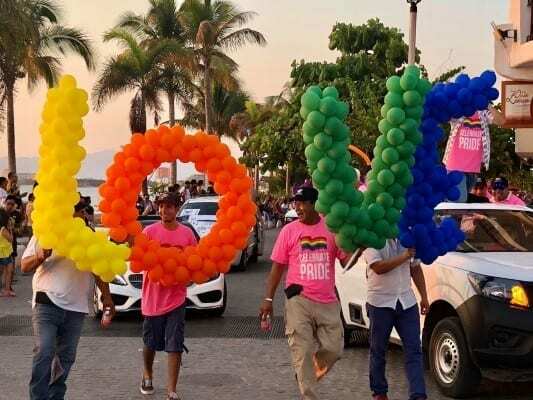 The past year has included issues including a pride guide, an interview with Alejandro Castillo, A special remembering Tom Swale, a feature on local artists including Armando Reyes and Francine Peters, a story on former local club owner Peter Deep, a story about Dia de Los Muertos, a story on the evolution of live entertainment in PV, and final a LGBT wedding guide.